It was a 76 and sunny with a slight breeze. Matt and Bethany were to be married at On Sunny Slope Farm. We arrived at 12:30 to capture all the details and the bride & groom getting ready, and what we arrived to was amazing. It was beautiful and rustic. Crates filled with decor, a door filled with a key for each guest, Mickey and Minnie cupcakes and cake topper and purple, oh the PURPLE! It’s my favorite color! 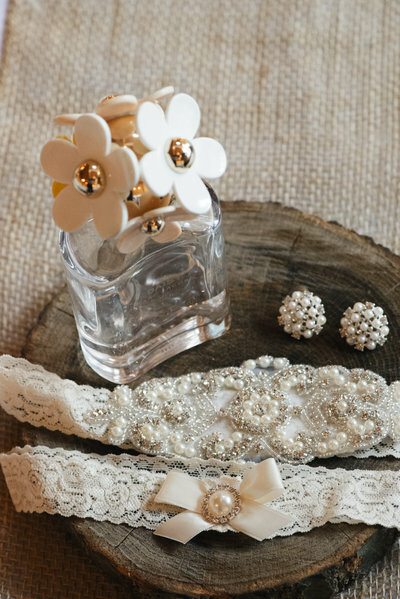 We grabbed the rings, bouquet and the girls dresses and started there. 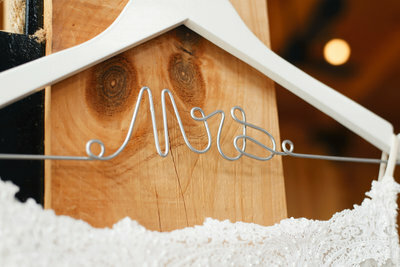 The girls all had personalized hangers along with the bride. After finishing all the details and getting ready shots, it was time for the first look. We love when our couples choose to do this. It’s sigh a special time and a moment to embrace each other before you say I do. The best part, you get to have that feeling all over again when the bride walks down the aisle! A double dose of goodness!! These two were so excited to see each other. I mean look at Matt, he couldn’t wait to embrace his bride! Of course he couldn’t, she was BEAUTIFUL!! The ceremony was simple, sweet and perfection as was the entire day. We were able to get so muc done and finish up right on time for the reception. The reception was a wonderful time to celebrate for these two and before it was over we were able to do a few sunset shots as well. A little more dancing and we ended with a sparkler exit for these two. Congrats Matt & Bethany!! Thank you for allowing us to be apart of this amazing day!